Did you feel the energetic pulse shift at the stroke of midnight on New Year’s Eve? It was Powerful! 2018 is the year everything you’ve been working towards manifests for you…and much quicker than you may think! The 11/11 Gateway and portal that opened on January 1st, 2018 = (1, 1, 11) has bridged the gap between cosmic abundance and instant manifestion. This is a portal that normally opens everyday for us at 11:11am and 11:11pm, or on November 11th each year. In 2018, this portal remains open everyday, all day for you to manifest your highest desires. 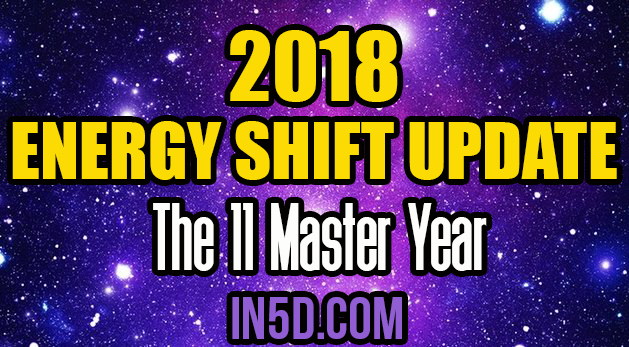 At the stroke of midnight on 1, 1, 2018 (11) is when this energy came to stay for an entire 365 day cycle! The cosmic flow of abundant energy will finally be synchronistically in your favor! Since the Solstice Portal on 12/21, which bridged the gap for past lifetime integration and healing on a spontaneous level.. and just as Mercury stationed direct the same day, all of the communication glitches that were hindering our progress suddenly faded away. We were able to connect easier with our Higher Selves to bring the past lifetimes forth to heal and, finally integrate these lost fragmented parts of our souls for spontaneous healing. As this occurred, we were shown how these fragments of past lifetimes could easily pop into and out of our daily existence at anytime. And in doing so, they could easily manifest from a distorted vibrational frequency being these past lifetimes were not healed, and therefore integrated fully into our now existence. Many have now integrated their past lifetime fragments and now you will be able to manifest from the Divine template vs. a distorted vibrational frequency. On New Year’s Eve, we also had the powerful full super moon in Cancer. 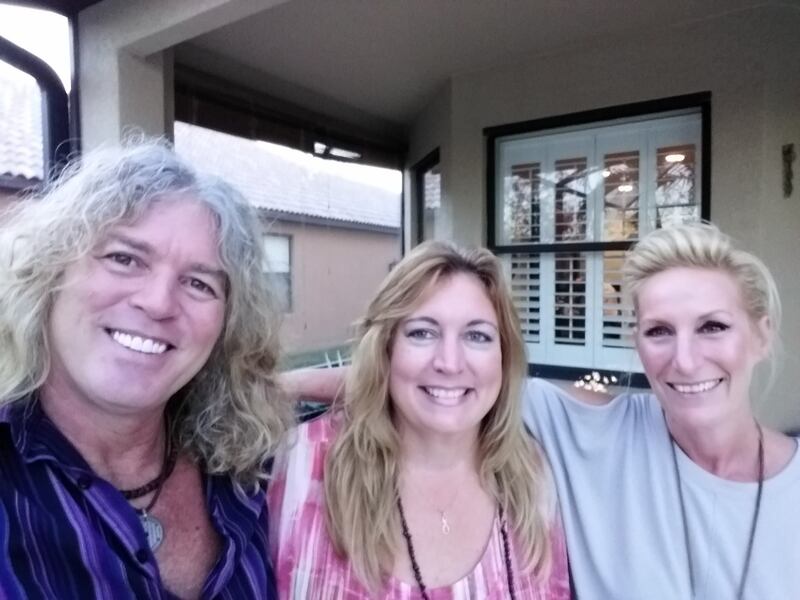 As Gregg Prescott and Michelle Walling joined me to ring in this 11 Master Year, we were enjoying the nice evening on my patio under this power moon energy. As we viewed the moon through my lanai screen it made an X sign coming off the moon’s energy. So we had the X energy with the O as the moon; XO. Gregg Prescott stated, in binary code this works out to 01111000 and 01101111. More powerful 11/11 Energy! We did a little Facebook live video to share the magic with you all which you can see by Clicking Here! To add to this, the full super moon on January 1st occurred in the emotional, watery sign of Cancer. This with both the Sun and Moon at 11°! This powerful Super moon activated yet ANOTHER 11:11 portal! These 11:11 portals were showing up everywhere! This super moon finalized the vibrational frequency polarity split, and opened the door for new beginnings to unfold. This was a swift energy that moved in to facilitate the split in relationships that were, and are, no longer a vibrational frequency match. And some abrupt endings did indeed take place on New Year’s Eve and New Year’s Day to bring forth the new beginnings energy into your life, with the unlimited abundance of 11 energy. 2018 will also mark the year when many Twin Flames may now reunite, and many soul mates may now come back together. In combining the Twin Flame/Soul Mate energy, you are now more powerful as two than one. And in this realization you will work for humanities highest good in unison and in very close partnerships. As you look back on all the struggles, accomplishments, challenges, pain, anguish, and suffering of 2017’s- 1 energy year… (I coined 2017- The Year of the Empath). This affords you one more opportunity to; release the old, heal any unforgiveness, remove any programming of lack, release any fears, and step forward outside of your comfort zone! Begin with new, fresh energy, and that which cosmically supports you in the unlimited abundance energy that the 11 Master Year of 2018 brings forth. Remember, the only limitations that exist are the ones you place upon yourself. This is the year to move outside of that limited energy, and open yourself up to the unlimited Abundance you so fully deserve! This Energy cosmically supports everyone globally in this area. We’ve been waiting, and now it’s finally here! You can expect 2018 to be one of the most Magical years you’ve experienced thus far on your physical body ascension journey! This is the year all learn how to “Master” their Metaphysical gifts, and manifestation abilities. The rate at which cosmic energy meets physical manifestation will be shockingly quick for most to process! But as we learn to manifest only from our Divine template of Christ Consciousness energy, with an unconditionally loving and open heart, we see that we manifest our realities for our highest good and the highest good of humanity. On January 31st, there will be a total lunar eclipse. What makes this one so special is that it’s happening during a Blue Moon, or the second full moon of the month. The first one being the full super moon in Cancer on January 1st. Remember the solar eclipse just a few months ago? These two events haven’t coincided since 1866, making this one the first in over 150 years. The next one won’t be until 2028 when these cosmic line ups meet again. This is creating a triple amplification of whatever you were beginning to process on the solar eclipse to January 1st full super moon to come to culmination on January 31st. This may very well had been a break up, or relationship split that occurred as the moon energy finalized the vibrational frequency polarity split in non matching vibrational frequency energies on the 1st. If this did in fact occur for you, let this go. It happened for a very important reason. That being so your new doors may open. So be responsive to change and the new coming your way! This is all to prepare you for the Magically Abundant year ahead, and you will need your soul groups, who are a vibrational frequency match, to partner up with, and create together that which you wish to see in 5D. Many people are experiencing the Ascension Flu right now. We just went through major DNA upgrades with a heavy burst of plasma energy. This plasma energy heats the body, then cools the body for several days in a row. There’s a lot of sweating that accompanies this. This is how it’s felt as physical symptoms. And this is when you know you’re going through DNA upgrades. This began occurring simultaneously as the 12/21 solstice portal opened for spontaneous past lifetime integration and healing. The Ascension Flu shall pass pretty quickly now as the body catches up to it’s new operating system with DNA upgrades intact, and past lifetimes healed and integrated. This is also activating the secondary chakra energy centers which incorporates the cellular Merkabah spin. From this, many are experiencing vertigo, and symptoms of extreme dizziness or feeling floaty and light. Be sure to ground yourself if this is the case. In cold weather climates, you can simply hug a tree and get grounded until you can put your bare feet on the ground and connect to the Earth’s electromagnetic field in this way. Be sure to keep hydrated with a lot of good spring water, and be gentle on your system by eating veggies, fruits or smoothies until this passes for you. Meditation and grounding assists this energy in moving through your system much quicker. Happy New Year to you all! 2018 is going to be one magical, blissful and abundant year for many! Be open to everything that comes your way, as new paths begin to take place you will be drawn in a new direction completely. This will expand many already in the Metaphysical field and in their careers. Here in 5D there are no limitations, there is no box, and everything is accessible to those who chose to align their energy with the cosmic abundance of this Universal year! For Services offered by Tiffany Stiles please CLICK HERE to be redirected to The Mystical Lotus website.